Want to push your driving skills to the limit? 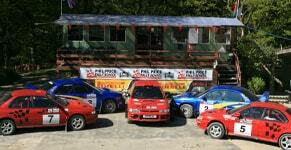 Simply book one of our driving experiences this September! Our highly experienced instructors can help you learn how to control a powerful Subaru Impreza, after which you can drive round our three miles of epic rally stages. Whether you’re interested in holding a corporate day, looking for a birthday gift for a loved-one, or want to have an exhilarating experience yourself, Phil Price Rally School could be your ultimate destination this autumn. Where do our driving days take place? Located in the centre of rural Wales, in Llangunllo, our venue is full of twists and turns, along with stunning views over the surrounding landscape. When you book a driving day at Phil Price, you’ll be enjoying over three miles of rally stages along with expert tuition from our passionate instructors. We offer epic driving days packed full of fun, thrills and action, including our One Day Intense Course that gives you 7-hours of driving action. This experience costs £349.00 including VAT and 50% deposit can be paid and the rest on the day. 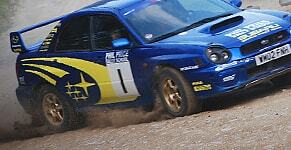 As a founding member of BARS, Phil Price Rally School pride ourselves on providing a safe and enjoyable experience. We have been rated highly by previous visitors on Trip Advisor, so why not discover more about us today? Discover how to book a driving day at Phil Price today.